Welcome in the beautiful world of fun stuff and Quality stuff collection of SMS from SMS Collection. 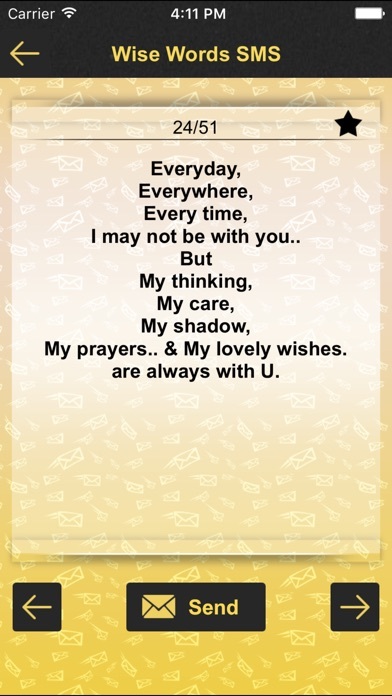 It comes with thousands of beautiful SMS, thoughts and much more. Undoubtedly, 50,000+ SMS collection offers the best and latest SMS and totally deserves to the title as the best SMS app. SMS collection brings to you a wide range of attention grabbing SMS. This free app has an elegant, simple UI including shareable functionality. It takes the SMS experience to the next level. Completely FREE of most popular and most wanted apps!! 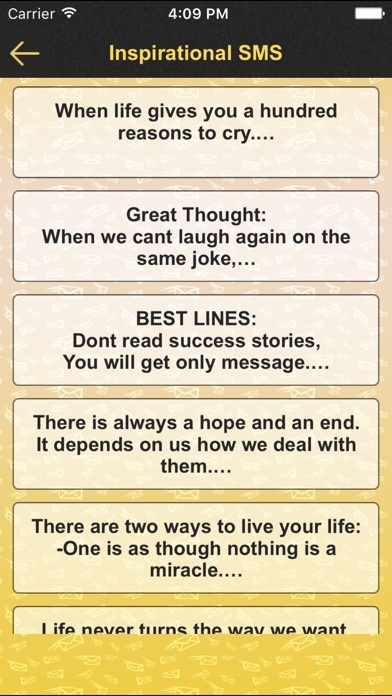 Over 50,000 collection of text messages, forwards, quotes & top jokes in more than 50 categories of sms. The largest book of most popular new text messages collections. Have fun messaging your friends to improve relationships with lots of new funny, cute and sweet forwarding text messages & pick up lines. Enjoy the stuff and feel free to forward to friends.